With banks continuing to restrict the use of debit cards online, it continues to get more difficult to make an online payment with the money in your bank account. In many cases, it’s no longer possible. Fortunately we have bitcoin and from buying an airline ticket to hiring a website developer, there are now millions of things you can buy using bitcoin online. Our favourite website is Purse. It allows you to pay for things on Amazon using bitcoin while getting a 15% discount. Cool huh? If you decided to sell something online and you just have a Zimbabwean bank account, if you’re not accepting bitcoin then it’s very hard to collect those payments from people outside the country without jumping through hoops. Even the old fashioned wire transfer is no longer an option for most people because a number of banks are now telling their customers that they can’t receive money from outside the country. bitcoin is a viable option. Getting a bank account in Africa is already hard enough. In Zimbabwe some banks have stopped opening new accounts altogether. If you already have a bank account, good luck getting the bank to give you a loan if you don’t work for Econet. Because of the difficulty in getting a bank loan, most people are going to be forced to accept unfair terms when they are desperate for personal financing – which is more often than not. Bitcoin and emerging peer-to-peer lending platforms offer anyone who has an internet connection and a bitcoin wallet an alternative that has, cough cough, no banks involved. How this works is, you say: “I need a loan of $X to buy a car and I will pay anyone who lends me money at an interest of Y% over Z months” and tens, hundreds or thousands of people send you small payments in bitcoin until you have enough money to buy your car. They will want you to pay them back though. There are quite a few bitcoin-powered peer-to-peer lending platforms but our favourite one is BTCjam. There are many ‘so called’ bitcoin investment opportunities online and we take almost all of these with a grain of salt. Being noob investors ourselves we tend to shy away from giving investment advice excect to tell people to do their homework first and to not invest more than they can afford to lose if they have decided they are going to invest. Even in bitcoin itself. Although we’re big believers in bitcoin, we see bitcoin as an experiment which may or may not fail and even though it has worked great so far and has been proved to be a great store of value in the last couple of years (especially when you compare it to the performance of other African currencies in the same period). Now that the disclaimers are out of the way, we didn’t want to finish this email without talking about how excited we are about how easy it is now for us to invest in other people on peer-to-peer lending platforms. It’s not without risks, of course, but the idea that you are holding an extra dollar, you can invest any amount of money, in anyone, in any part of the world is evidence in itself of how much the world is a better place than it was 10 years ago. It’s now so difficult to send money outside the country that even the government has trouble sending money outside the country sometimes. If you are working for a company that is having trouble receiving or sending money across the border then you should get in touch with Verengai to find out how you can do that using bitcoin. Moving money across the border is one of our strengths at BitFinance. A question we often get asked by people who hear about bitcoin from us for the first time is: “How can I make money using bitcoin?” and a simple answer is day trading bitcoin which is buying bitcoin at a low price and selling bitcoin at a higher price. Day Trading bitcoin can be extremely profitable if you know what you are doing. But like a double-edged sword, it’s also high-risk by nature so you can both win and lose large sums of money very quickly. Bitcoin is a very volatile commodity, subject to sharp swings up and down in price with very little warning. You can day trade bitcoin on BitcoinFundi today. Bitcoin is often referred to as a trustless currency because, before bitcoin was invented, whenever humans needed to exchange digital money, they could only do that if (and only if) they both has a common trusted third party who kept a ledger of who owned how much. As an example, this trusted third party is Econet in the case of Ecocash transactions or CABS when I send you money via Textacash. bitcoin eliminated the need for trust by making it possible for peers to send money directly to other peers and making the middleman (read: trusted third party) irrelevant because every peer using bitcoin has a copy of this ledger. So trustless means that you no longer have to trust anyone first because you can verify any transaction yourself on this copy of the ledger that you have a copy of. Today, this bitcoin-like technology is being applied to many industries that are still dependent on having trusted middleman because by being transparent and more efficient, the bitcoin model is superior. One industry which has an interesting application for bitcoin-like technology is gambling. Think about it: before bitcoin, if you visited an online casino website and placed a bet, there was no way to check if the house was cheating on your and changing what would have been a winning bet into a losing one. bitcoin has inspired a new generation of gambling websites that accept bitcoin and allow you to cryptographicallyprove that there was no way they could have manipulated the results of the wager. Something we call in the industry: probably fair gambling. Our favourite provably fair gambling site is SatoshiDICE. If you’re a creative person, whether you create music, fashion designs or you invent electronic gadgets; At one point in the future, you may or may not find yourself in a situation where you need to prove that you are indeed the one who created what you claim to have created. Every digital file has something called a hash, which is unique to every digital file that has ever existed. Every bitcoin transaction is recorded on a transparent public ledger that everyone can see. This ledger cannot be modified or deleted. Creative people can use bitcoin to notarise their creative works. There are few services that allow you do to this and our favourite one is Proof of Existence. User-generated content creates billions of dollars worth of value for the shareholders of social media companies like Facebook, Twitter and YouTube. I die a little bit inside when I think about this idea while watching one of the Commic Pastor’s videos because the people who make these platforms so valuable (that is the content creators and consumers) are hardly compensated for the value they create and they have to look for other ways to make money outside the platforms. Content creators get rewarded with bitcoin for creating content but by consumers who leave a tip if they like the content. Content consumers get rewarded for consuming content. This could be reading or listening to content. When you think about it, it’s not just the owners of the social media platform or the content creators that are creating value in this ecosystem. Without consumers to consume the content, that content would have no value – it’s the consumers that make content valuable. And our favourite – platforms where you are only allowed to consume content if you hold bitcoin or some other cryptocurrency (an idea called token-controlled-accees). Let’s face it: if you’re a bitcoin non-believer you likely won’t create value or be wanted in certain online discussion forums so the idea behind these platforms is that to log in, you need to first prove that you hold a certain token or cryptocurrency. With token-controlled-access you can also allow anyone to log into a platform but then restrict what features or services users get access to depending on what tokens they hold. You can use bitcoin to buy airtime on any Zimbabwean number on Bitrefill. If you feel there is something I missed or have any questions feel free to send me an email and we’ll get back to you with a response. Finally, at BitcoinFundi, we’d really love to know what you use bitcoin for (or what you intend to use it for). Understanding what you use bitcoin for allows us to make BitcoinFundi work better for you. Please click here to complete one minute survey to tell us what you use (or intend to use) bitcoin for. Get a loan? Please pass me the joint. Muzukuru!… yeah, a loan. Got one myself- and 76 others in our App Group (specifically for that). 10 things I couldn’t care less about. I don’t care that I don’t know about bit coin. You’re right about how the ways of making money are endless. What we’ve seen running a bitcoin Exchange in Zimbabwe (since September 2015) is that the interest in and demand for demand has consistently been growing. When we launched we thought our market was the millennial but we’ve been surprised by the interest that’s coming from Generation X and Generation Y people as well. 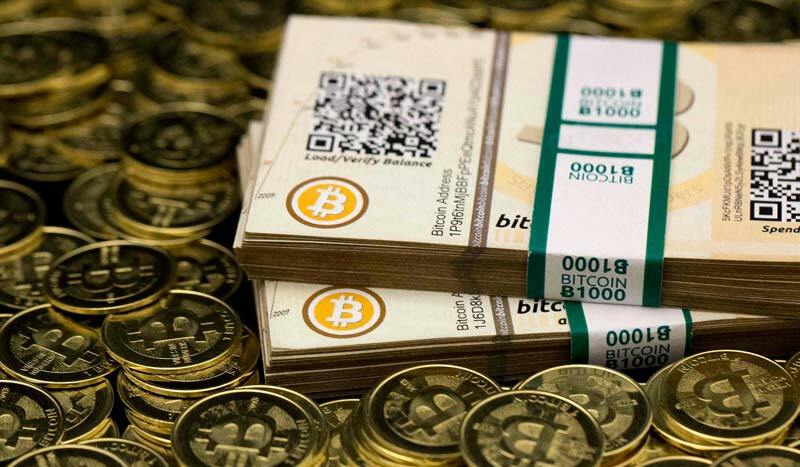 We’re really interested in finding out what Zimbabwe use (or intend) to use bitcoin for. Hie Kuda, you mean Fiver… the bike Company? Inbox me on App, you know where to find me. Also good to know the down side. Remember Mt Gox? Bitcoin is makasa,just like a pyramid scheme>Some win some lose. Just like technology can also look like a pyramid, some know and use it some dont! Give bitcoin a chance, learn it, play with it and see if you can make sense out of it. What can Zimbabweans learn from the recent heist of Hong Kong-based exchange Bitfinex? If it happens in Hong Kong exchange, and they have no clue what went wrong, what stops it happening in Zim? One thing l keep hearing is that Bitcoin is secure, but is it? Its like having your money stolen from RBZ or any bank and they turn around and tell you they have no clue what went wrong and they are investigating. Hey guys are they WhatsApp groups for this I really need to buy bitcoins …. Can I buy bitcoins for cash? If so what discount can I get for using cash. (USD )? This article should have been published 2 years ago we as Zimbabweans are always last on the gravy train people have been using and making money with bitcoins for years and u only get an article on it on techzim in 2017!!! In my opinion this is where your focus should be rather than the potentially political stuff u try and get yourselves into.